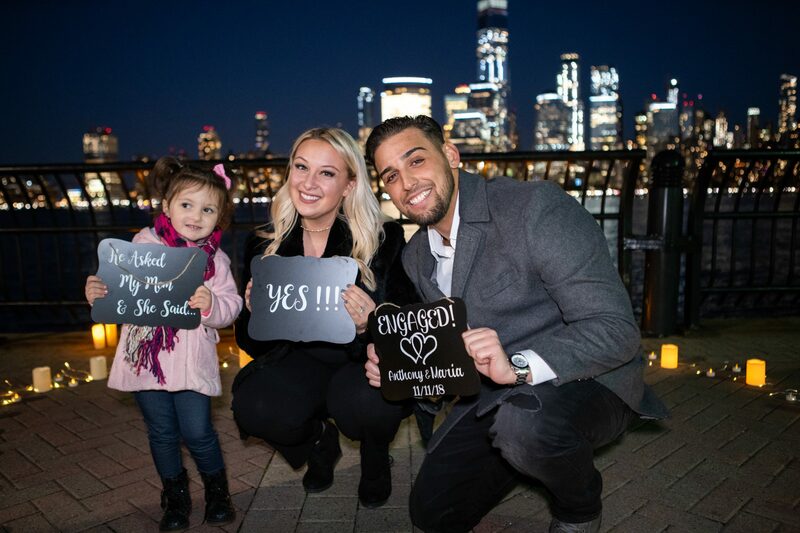 “There no words to explain how happy i am, that im going to marry my high school sweetheart and my best friend” , Anthony shares. 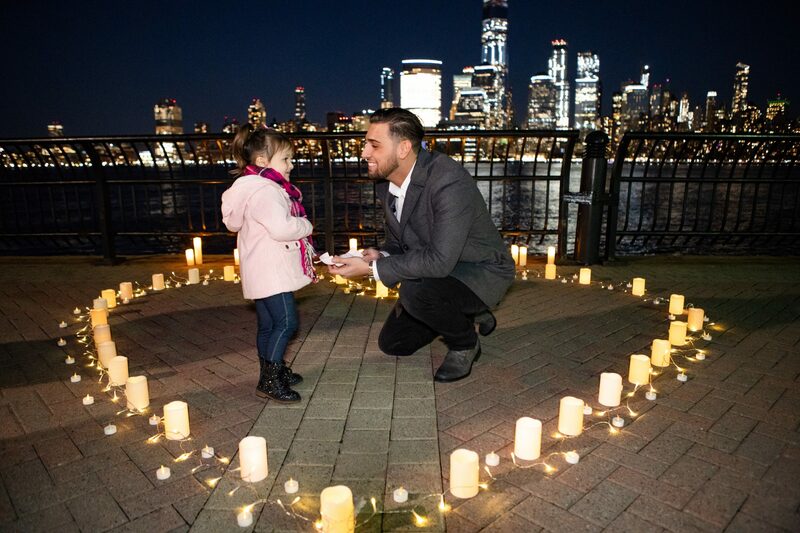 Anthony surprised his girlfriend Maria with a beautiful surprise proposal on the NJ pier. The candlelight heart and musician was waiting for them to arrive. Little that she know, their families and her little daughter were also waiting for them around the corner. 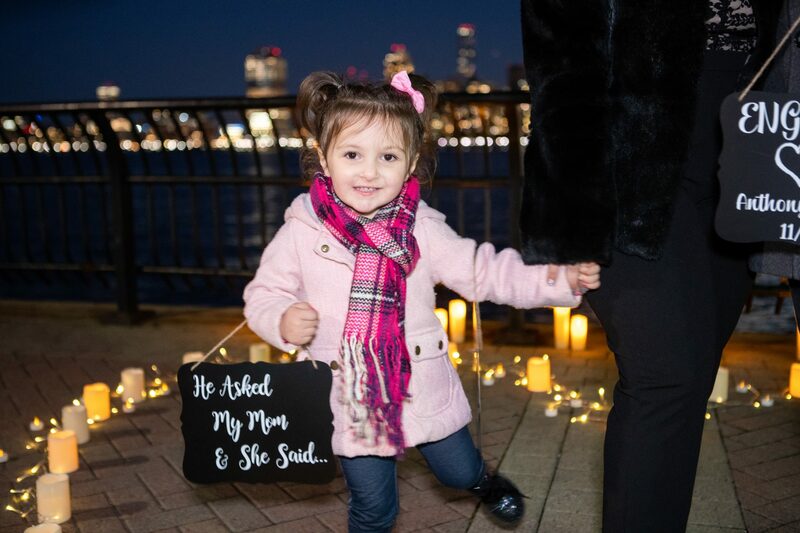 As soon as Anthony got on one knee and asked her hand, family cheered them up and Maria saw her daughter. 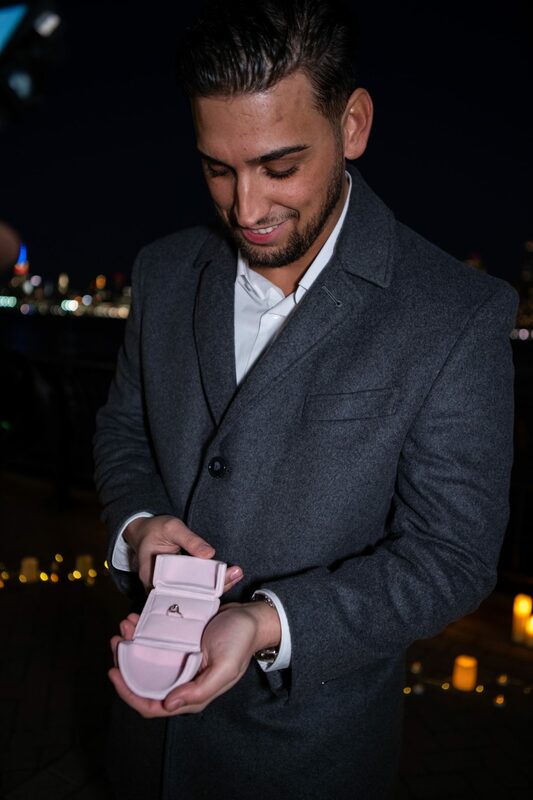 Anthony invite her to the heart and proposed for the second time, with the little pink box and heart ring. At this point, there were no a single person, who wouldn’t share a tear. Why we think it was an ideal proposal? 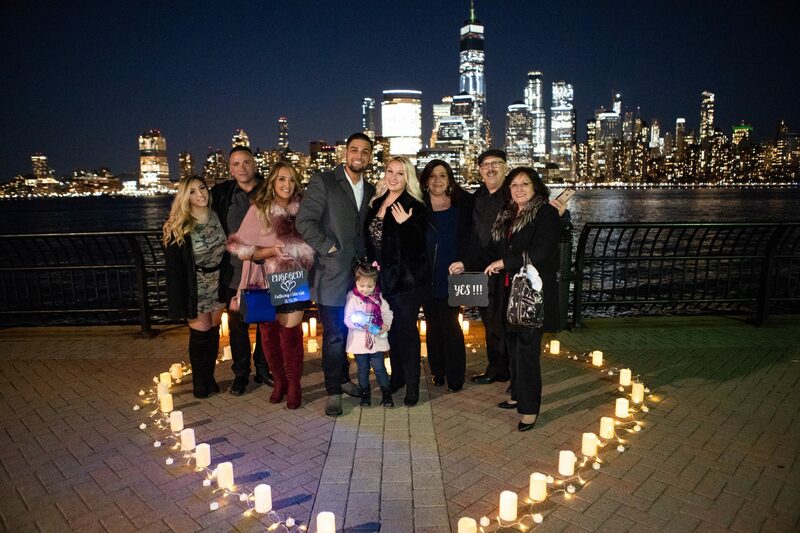 Anthony included everyone in a family to this engagement. He thought thought to surprise his partner and add personal touch, as a musician playing her favorite song. He include her daughter in the proposal and that was a very right thing to do. Kids wants to take part and in this case, she felt as a part of the team. That was truly beautiful and memorable engagement. If you planning to propose this Holiday season, but don’t know how you want to do it, contact us now head@proposal007.com and our experienced team will help you to make your engagement unforgettable.